SW side of Cat Bells. Looking SW from the summit towards the Newlands valley. At the foot of the slope are some old mine workings. Little Town (centre right) is at the foot of the next spur, High Crags and Knott End. 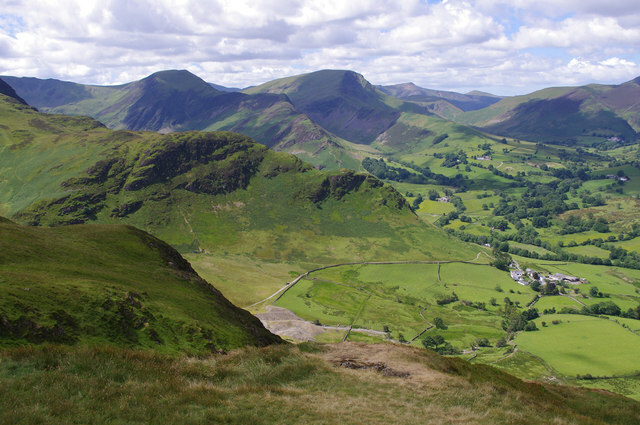 In the distance are Hindscarth (centre left), Robinson (centre) and Red Pike (centre right).